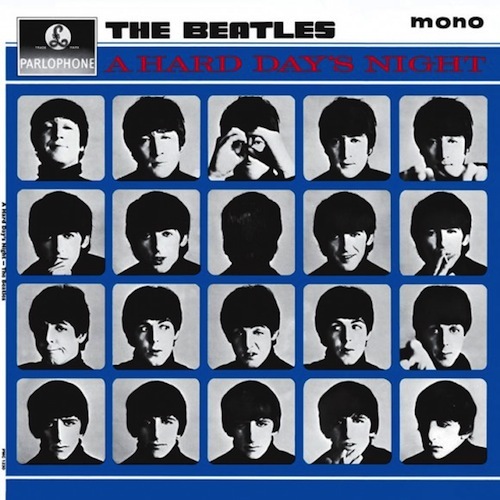 The Beatles A Hard Day’s Night album was their third in eighteen months to be released by 10 July 1964. Timed to coincide with the release of their first movie. One that completed the catapult to worldwide superstardom. The album reached #1 in the UK charts and was cemented there for 21 of the 38 weeks spent in the Top Twenty. The U.S. soundtrack LP spent 14 weeks at the top of our album register. My Only: A Hard Day’s Night. Again, how can I not pick the title track?!? Not only did that triumphant strum of a guitar, bass, and grand piano herald the opening of the song, but also the album, a movie of the same name, and a Pop era. It brought to my 10-year old eyes and ears all the possibilities of what film and music could deliver. Little wonder it’s in my Top Ten. This one cemented my admiration of the lads in ’64, and it’s lasted through to this day. My One: If I Fell. Oh sure, if I just based it upon the film, I could have picked Can’t Buy Me Love. Mainly for starting the ‘music video’ decades before they were christened. But for the actual album, this seemingly simple love tune hides some, at that time, pretty mature Lennon lyrics within. A characteristic for this extraordinary songwriter. Plus, it has John and Paul sharing another lead vocal beautifully*. * It should be noted on the stereo mix of the song, McCartney’s voice strains and cracks on the second instance of the word “vain”. Paul’s didn’t crack on the mono version.